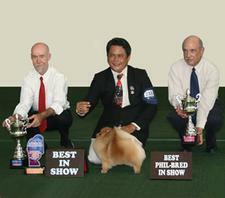 Last Sunday, August 3rd, 2008, Canton Pomeranians had a new Philippine Champion…Ph Ch Canton Courage after winning Winners Dog/Best of Winners under Bob Dawson(Australia/Philippine) and Winners Dog/Best of Winners/ Runner-up Best of Breed/Group 3 under Kay Radcliffe(USA). 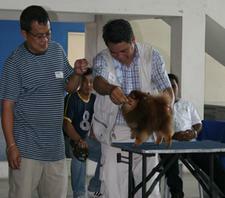 Last Sunday, July 27, 2008, the Philippine Pomeranian Club Inc sponsored a seminar entitled "Show Grooming & Handling Focusing on the Pomeranian Breed" at the PCCI showsite in Marikina. Inspite of the typhoon weather, there were more than 50 people who attended. Most of them were new faces. A couple from as far as Naga flew in just to attend this seminar; some from Tarlac and Bulacan. I was impressed with their interest and enthusiam. 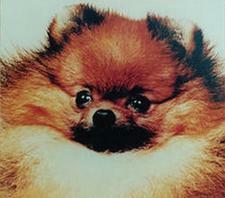 One of my dreams is to able to breed Pomeranians in calico patterns…like the goldfish and the koi(carp). 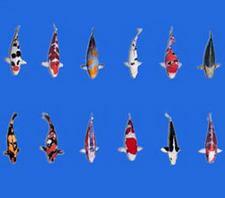 Particularly, in the koi, the color spells out the quality classification of this fish. PH HOF Am Tha Ch Canton Bravestar takes another Best in Show under Mr Ekarat Sangkunakup(Thailand) in the 24th All Breed Show of the American Cocker Club of the Philippines held on July 5, 2008 at Pasig City, Philippines. 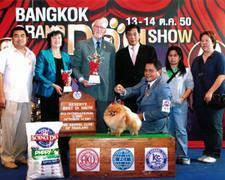 The other show which was to be officiated by Ms Jackie Perry(UK/Thailand) was cancelled due to the illness of the judge. The day after the APC Nationals, we flew back home just in time for the weekend Back to Back ALL Breed Show on March 15, 2008. 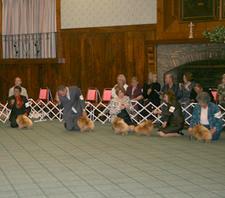 Bravestar won Back to Back Best in Show under International Judges Theo Horchner(Australia) and Eduardo Corona(El Salvador). 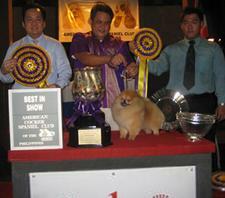 Since he was Philippine bred, he automatically became Best in Show -Philippine Bred for both rings too. There were more than 60 Specials. 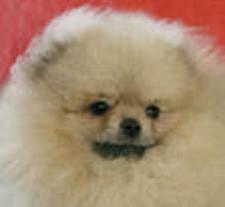 Bravestar passed all the cuts making him eligible to compete for the Best of Breed. There was a lunch break prior to the final line-up. 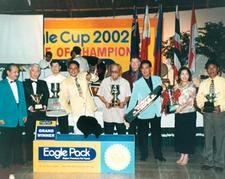 During the final competition, Bravestar’s number was omitted; Number 97 was not called. We quickly approached the Ring Steward, Ms Erika Moreau, who showed us a list pointing to the Number 97 crossed out, saying that the judge had scratched it off. We were assured that there was no mistake and as such we can only assume that this was done during the lunch break but we thought it was against show protocol. We were disheartened.